I just bought my first electric car – 2018 Honda Clarity. Love it. I should say that it is not fully electric — rather it is a PHEV (Plug-in Hybrid Electric Vehicle). When fully charged, the car goes about 50 miles on battery — then becomes a hybrid vehicle once the battery juice is spent. Since we generally drive less than 50 miles per day, the car has used almost no gasoline — although the engine will kick-in as a support at times when you need extra power. The dual power vehicle system has been the subject of lots of patent litigation stemming from Paice LLC’s enforcement of its U.S. Patent Nos. 7,237,634 and 8,214,097. 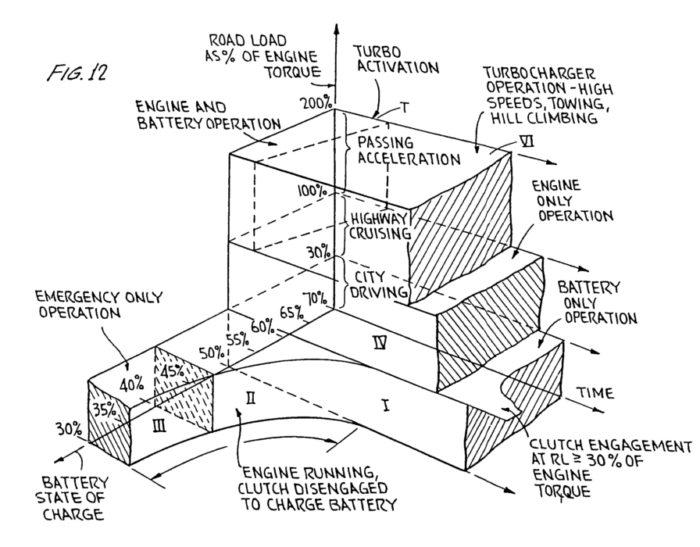 The Paice inventor, Alex Severinsky, claims to have invented the “hyperdrive power-amplified internal combustion engine power train” that uses a variety of metrics to determine whether to use the Battery, the Engine, or Both Simultaneously. Back to my new Clarity. I tend to be fairly slow to change cars – until last week I was still driving my 1998 Honda Civic from law school days. In addition to the “Severenski hyperdrive” possibilities — I’m also enamored with the fact that I’ll only be stopping at the gas station when taking a road trip. In general, electric motors are more efficient than gas engines. Electricity production tends to have a better environmental impact than burning gas, and the zero exhaust in my garage is really nice. For this battery size, the car fully charges in about 6 hours with my ordinary 110 power supply. I had been eyeing other PHEV’s such as Volvo’s XC90 or the Porsche Cayenne. However, those vehicles have a much lower electric-only range and are well beyond my law-professor-salary range. In addition to being much cheaper, the Clarity also qualifies the buyer for a $7,500 federal tax credit. Finally, I’ll note that the Clarity is my first electric car — but not my first electric vehicle. 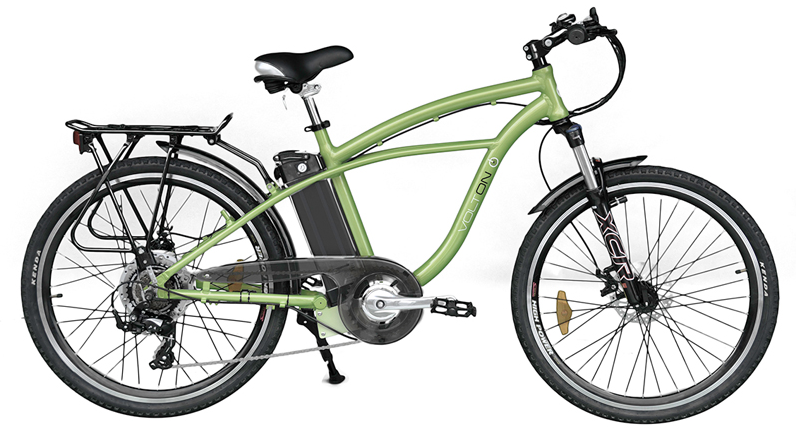 I still ride my Volton eBike to the law school several days each week (depending on the weather). Musk says that the electric car is more efficient because even in coal plants the electricity is used more efficiently and emits fewer pollutants. He says it is the economy of scale where the large plants have more equipment plus they don’t have to be mobile. The idea that fuel smells and carbon monoxide are bad for you is a liberal myth. Carbon and oxygen are essential for life! Also California burns oil off the coast just so some three inch turtles can see the beach which is why gasoline costs so much. This message brought to you by the Repu k k k e Party. Own it, m 0 r 0 ns. 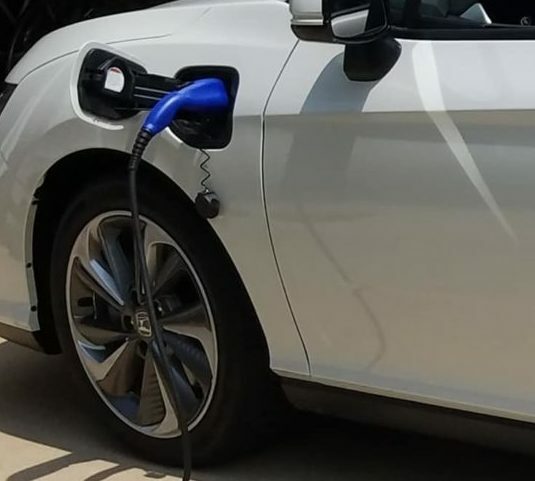 Is that a picture of your car “plugged in” to the electric system? So does this work like a household appliance — you plug in one end to the car and the other end to a regular 120V jack? Thats what the article says. Though he called it 110. I recall an IEEE story from several years ago pitting the “green” of an electric car, energy, emissions, etc., etc. against a mini cooper. The cooper won. Dennis were you thinking ethanol was a ‘green’ solution all those years ago as promised? Turns out to have been junk science as we now know ethanol is very bad in every way for the environment. Maybe they were using climate models to estimate the benefits of ethanol. Oops. Dennis, I just got my Tesla Model 3 in June, and I’m loving it. It’s been 2 months since I’ve been to a gas station, and I don’t miss it. Do you have Time of Use (TOU) electricity rates in Missouri? Georgia Power let me sign up for their Electric Vehicle TOU program which gives me $.01/kWh from 11pm to 7am nightly. My 75kWh battery could go from empty to full for $.75, which provides a 310+ mile range. Loving that so much! Where do you get your electricity” How is it produced? The bike, I’d not seen previously, is very stylish and interesting. And, not to brag, but I own a twin-turbo, 2008 Porsche Cayenne Turbo S having far too many-more than the stock 550 bhp. One drive and you don’t really give a damn about how efficient it produces power! On the surface, I’d have guessed that the Severinsky Hyperdrive was Obvious as it is no more than an optimization or maximization scheme. I think Toyota early on ( early 1990s) came up with the notion that there will always be hybrid cars for the same ideas behind the Hyperdrive notion. A turbo-charged two-stroke hybrid would be the interesting next step vehicle to try. Love the bike! Very French! If you pull 27 Gigawatts of energy out of the wind, would that have an adverse impact on the environment? Seems to me it would reduce the energy of the wind, thereby effecting the climate somewhere…. It’s all just logic. And that ain’t patentable. 26 IPRs against the ‘634 patent. How can it be a “bad patent” if it took Ford and Volkswagon 26 swings to kill it? If there a scintilla of justice left in the United States patent system, if there is any interest to promote progress in the useful arts, this patent will be restored somehow. With KSR you just need to put the same art (or equivalents) in front of fact finders and you will win eventually. Elsewhere I’ve compared IPRs to an old west shootout. Except the patent owner doesn’t get a gun. And the petitioners have a bandolier full of bullets. And the patent owner has to stand still. I think the phrase you were looking for, while composing the title was: Punch it, Chewie. until last week I was still driving my 1998 Honda Civic from law school days. I did. The ’98 civic had a few problems that caused it to fail the usually easy-to-pass Missouri safety inspection. After failing the inspection, the radiator blew. It is now someone else’s potential.